The Montreal Canadiens will undeniably end up in the thick of a race in the Atlantic Division in 2018-19. Logically speaking though, it just won’t be for the division title or one of the last playoff spots. Indeed, in spite of how the Atlantic boasts some legitimate contenders, it’s shaping up to be one of the league’s weakest divisions. Sure, there are the Boston Bruins, who have one of the league’s best defenses on paper, the Toronto Maple Leafs, who have one of the league’s best offenses on paper, and the Tampa Bay Lightning, who have one of the league’s best teams period. However, there’s also the Detroit Red Wings, Ottawa Senators and Habs, who seem to be locked into a three-way dis-arms race instead. The Red Wings just lost captain Henrik Zetterberg to unofficial retirement. 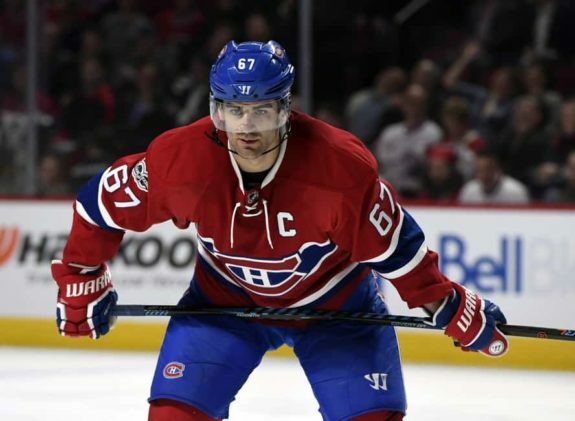 Meanwhile the Habs traded away their captain and leading scorer since his breakout season in 2011-12 in Max Pacioretty. The Senators literally did pretty much the same thing soon thereafter. The only difference is the Senators are being much more up front about their intentions for the coming season. According to Sens owner Eugene Melnyk, it’s a rebuild and no one is arguing otherwise. Granted, the return they got for a superior player in Erik Karlsson was much more underwhelming and leaves little room to debate the obvious. Habs fans can choose to take that as a positive, knowing the team isn’t theoretically as lost of a cause as the Senators in the immediate future. And, considering how Habs general manager Marc Bergevin has been successfully stockpiling assets for what comes after, they’d have good reason to believe the team as a whole is in better shape than their rivals a few hours down the highway. So, in spite of how the Senators are in a better position to contend for the right to draft projected-No. 1-center Jack Hughes next summer, it isn’t all doom and gloom for the Habs. Things could always be worse. Even as the Canadiens prepare to open up a season without their No. 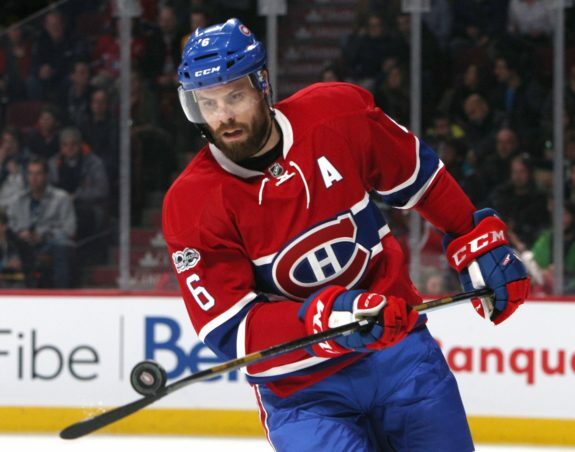 1 defenseman Shea Weber. Even as their defense with a healthy Weber looks like a shell compared to that of the Bruins. Even as their offense still lacks a No. 1 center, while the Leafs boast two. Even as Tampa Bay goalie Andrei Vasilevskiy usurps Carey Price as the league’s best goalie. Even with all that, as the Habs look woefully undermanned compared to the division’s legitimate contenders, there’s a sense of hope that, like last season, 2018-19 won’t be a complete loss. Oh, it will be a failure, based on how Habs management continues to outwardly and superficially inflate the Habs’ chances of clinching a playoff berth this coming season, but that’s more a reflection on the strength of character of management, or lack thereof to be more accurate. It’s true teams can rebound quickly year to year in the NHL. Coincidentally, the Canadiens themselves won the Northeast Division in 2013 after finishing 28th in 2011-12. That’s the point at which Bergevin got hired, which undeniably serves as a good omen for the Habs’ chances at competing in 2018-19 (after finishing 28th again last year). 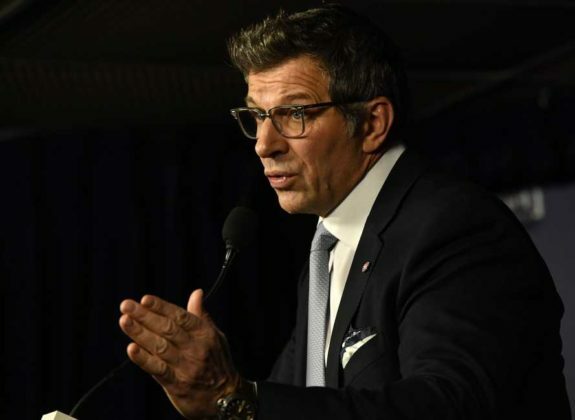 The problem is, unlike the first time around, when Bergevin was looking to build a winner as soon as possible, his recent moves indicate just the opposite now. Bergevin seems to be in on the rebuild effort, if not directly behind its wheel. Whereas the division’s projected middle-of-the-pack teams, the Florida Panthers (Mike Hoffman) and Buffalo Sabres (Jeff Skinner, Rasmus Dalhlin), took steps to improve on their respective non-playoff finishes, the same can’t be said for the Habs. They’ve downgraded for the present on Pacioretty (Tomas Tatar) and Alex Galchenyuk (Max Domi) and still haven’t found anyone who can make an immediate impact either playing with Weber or in place of him, while he’s out injured for the first half of the season. In other words, the Habs are poised to start out of the gates worse than last year when they earned a 14-15-4 record with Weber in the lineup. By the point at which Weber got put on the shelf for the rest of the season, they were already out of the playoff race. At least two of the six teams projected to finish ahead of the Habs will actually struggle to a greater extent than they will. The Atlantic will send five teams to the playoffs, compared to three from a relatively stacked Metropolitan. Habs management actually wants to make the playoffs and will look to strengthen the team down the stretch to try and realize that goal. 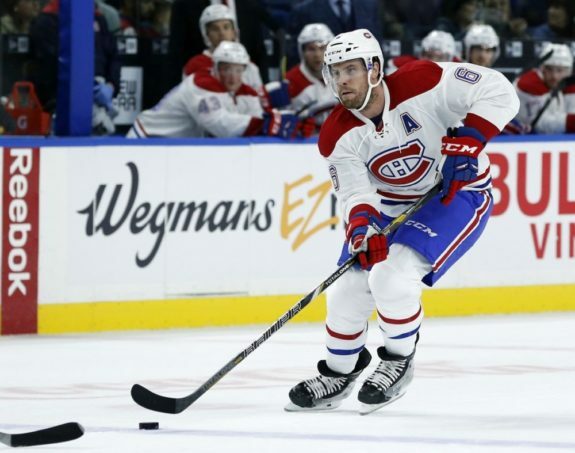 While the expression is anything can happen, especially come the playoffs, each of those would have to go the Habs’ way for them to stand a chance, including a career season from a 31-year-old Price, playing behind a patchwork defense. With regard to Point No. 3, not only have the Habs actively been doing the exact opposite, but it also wouldn’t be the smart play. Giving up futures just to eke into the playoffs during a season in which they just don’t have the team to win four rounds against what one has to rationally believe will be stronger competition? When Bergevin says he wants “to have a team that’s going to compete to make the playoffs,” he’ll undeniably of course get a close proximity to that: a team that’s going to at least try to compete. No one should expect anything less from professional athletes. Unfortunately for fans who choose to take Bergevin at his word (for some reason), that won’t be good enough. It’s a question of how bad they’ll be instead. Looking at the long term, it’s actually for the best.